When we first moved to Klamath Falls, Oregon, we didn't know much about all the great vacation opportunities that are in this area. Now that we have lived here for many years we have made several discoveries and want to share them with you - our Klamath Falls vacations! We are transplanted Texans. We couldn't believe our new home was in such a beautiful part of Oregon. We set out to discover the hidden treasures that surrounded us. As a result, we have been "Oregon-ized"! With the Cascade Mountains to our west, the natural beauty of Crater Lake to our north, the Lava Beds National Monument to the south, and camping opportunities in all directions - the hardest part was deciding where to start. We went on a day trip to Crater Lake National Park. We went on a picnic and went hiking at the Umpqua River waterfalls. We went cave exploring at the Lava Beds National Monument. We went canoeing on many of the lakes and rivers. In the winter we went inter-tubing down "suicide hill". We tried cross-country skiing and found out that some people are better at this sport than others. We played golf at several of the local courses where on just about every hole you have a beautiful view of a mountain or a lake. We also went Christmas tree hunting, went swimming in a geothermically-heated pool, and went on many walks to see the beautiful fall colors. We often enjoy watching the variety of birds that frequent this area - a bald eagle soaring high, a flock of pelicans riding the thermals or gliding quietly just above the water, the migratory birds as they fly north and south, or watching the man-made birds (F-15s) at Kingsley Field. And there are still more things to do that we haven't discovered ... yet! While attending a seminar a few years ago the instructor asked the class "If you could describe the perfect place to live, what would be the characteristics of that place?" The answers came quickly - "little or no traffic", "beautiful scenery", "clean air", "small population", "shopping", "things to do", "hunting and fishing", "outdoor activities", ... When the list was concluded I raised my hand and said, "I already live there!" and your first name below. We'll be adding more pages soon. We'll be filling in the details on some of the adventures we've already mentioned and telling about new ones. Have a great story about Crater Lake, the Lava Beds, a fishing trip, a restaurant review - Your Klamath Falls Vacations? Share your story by clicking here! 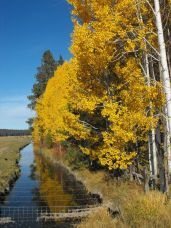 The Klamath Vacations Blog keeps you up-to-date with all the additions and changes to the klamath-vacations.com website. Subscribe here. A stay at the Crater Lake Lodge was one of the top 5 things to do on the bucket list for my wife. We enjoyed the wonderful views (especially from our bedroom window). When you play on a Southern Oregon Golf Course you will play on some of most beautiful holes in Oregon. On just about every hole you have a panoramic view of a mountain or a lake. Many Southern Oregon hiking experiences can be yours by hiking Mt. McLoughlin, hiking in the Mountain Lakes Wilderness area, or hiking in the Mountain Lakes Wilderness area. Klamath Travel Resources provide links to other travel destinations around the world. Explore the world through these links and discover the exciting adventures that are available. Share your stories about your adventures on a Klamath Vacation in Southern Oregon and Northern California. Shop at the Klamath Store for items about Klamath Falls, Crater Lake, and the Klamath Basin. Oregon is now our home and we’re glad it is! We live in Klamath Falls and love to write about this area. So here's a little info about us and our Klamath Vacations. Would you like to share your knowledge about klamath falls vacations? Great, find out how you can submit your story or tip here.